Hi friends, I can't believe its OCTOBER. I have gone back and forth on writing this review for what seems like so long now. 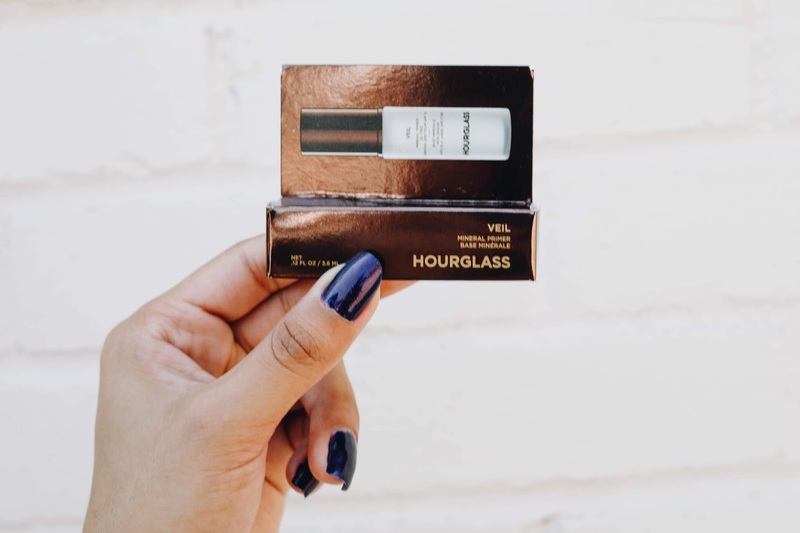 I started writing Sephora Play reviews three years ago when I got my first box. I remember it like Christmas morning but in September. Back then there weren't huge websites dedicated to reviewing just subscription boxes and IG story unboxings were non-existent. Now three years later I am somewhat lost as what to do/where to go with these boxes in my content. 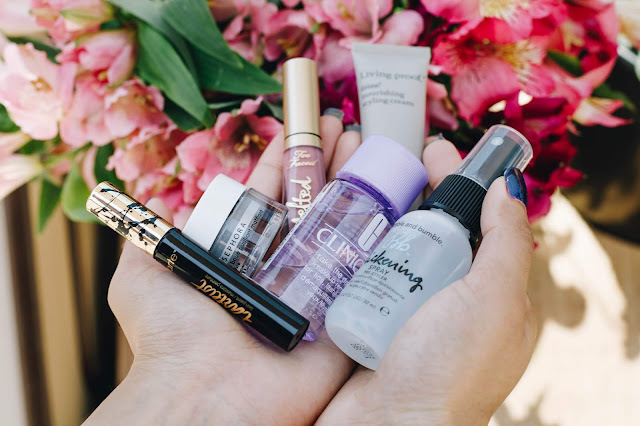 Reviewing Sephora Play boxes was one of the huge chunks of my beauty content. Now I am working with more brands and making more original content, but those posts come in waves. Truthfully it has never been easy to keep up with boxes month to month and take pictures of all the products. In terms of Sephora Play reviews I am sort of at a crossroads now. Do I keep writing these reviews even though they are getting pushed further/further back? I did an Instagram poll and most of my longtime followers didn't want to see this series go. I need to find some middle ground with these reviews. I was thinking I might do a yearly, yes, yearly empties with my Sephora Play boxes. I am low key scared of the hoarding I will be doing. 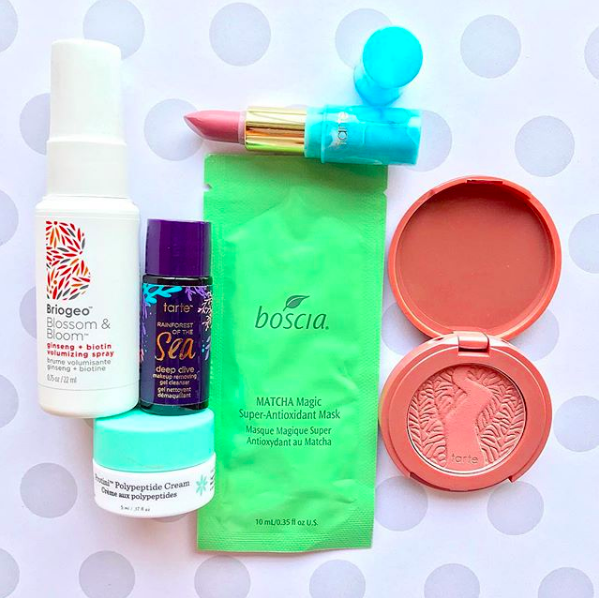 I have never really done a year round up for Sephora Play although this will be my fourth year getting this subscription box. What do you think? 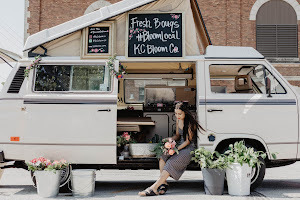 If you've been a follower of my blog for awhile what would you prefer? A yearly or maybe 6 month post or do you like the monthly reviews? Comment your thoughts below! Finally getting to the review! I was super psyched for this mask. I love mud masks (I would die for Glamglow...just saying) but this mask is nothing like Glamglow. This mask is super lumpy- so lumpy I thought it might have been dried out to start with, but it wasn't. Its super chunky and dries rather quick. Working with plaster is honestly easier than this mask. Which I actually have done before at one of my interships lol. I have tried this mask a few times and never noticed any notable differences, but truly I am not a fan. 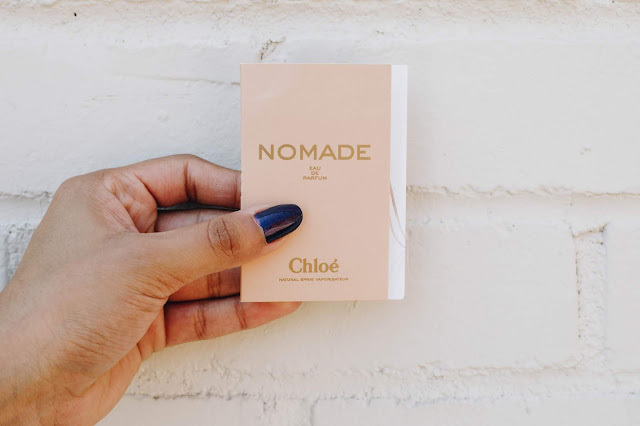 I usually am not a fan of CHLOÉ perfumes, but I did enjoy Nomad. Its a warm floral and not super heavy on one note with deep notes like oakmoss and freesia (a lighter scenting floral). I didn't feel like it lasted long on me but I liked trying something new! It felt like this sample dried out and there was nothing left to try =( As you can see it looks like there is a gap between the gold top and the base of the bottle, so I feel like air might have been let out drying out the mascara. Super disappointing but I did like the brush. What can I say? I LOVE this primer. 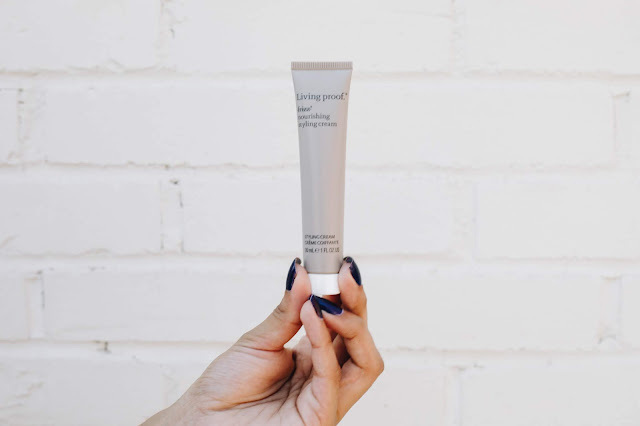 You'll hear me say that I love primer about 1 time and its just talking about this product. 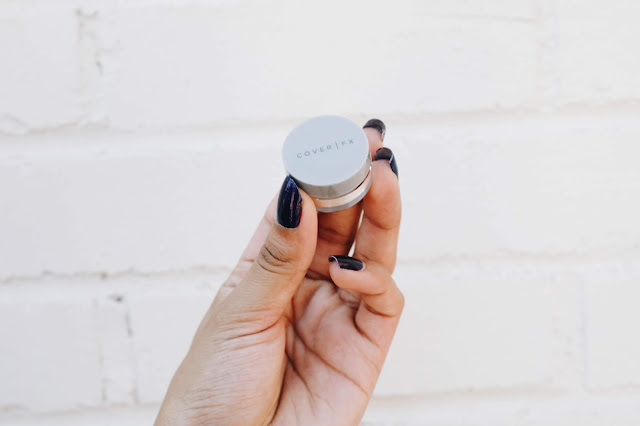 It keeps your makeup looking sleek and free of pores/lines. The only downside is that its so $$$. I'm trying to make this primer last forever lol. Not working super well. This was definitely worth the $10 a month for Sephora Play. It has been working so well with my new ABH stick foundation which is rather tricky to work with. 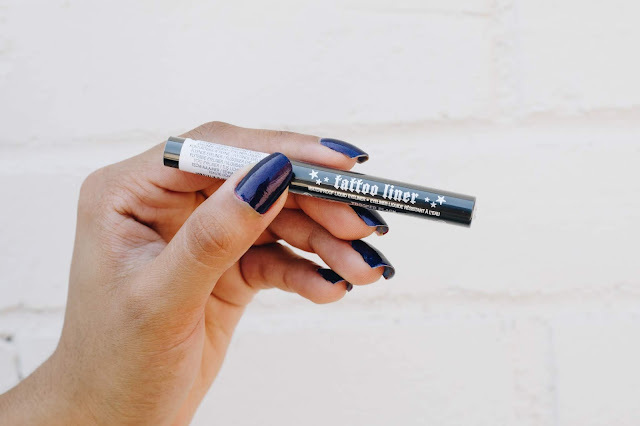 Oh tattoo liner, you have my heart. I fight for this liner every time and I always will! Its so pigmented and has the best brush. I really need to get it in a navy. I have been liking blue eyeliner so much lately. 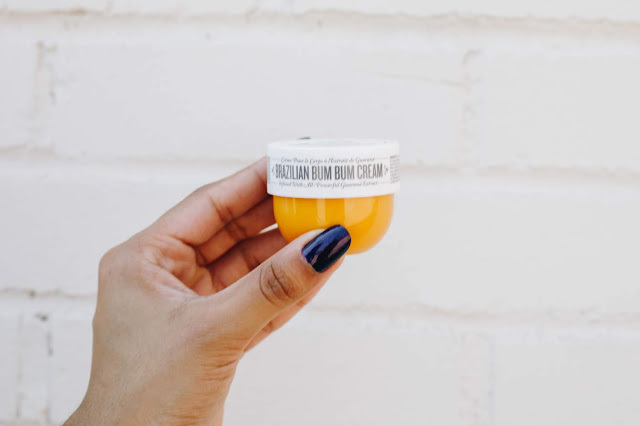 I've never tried anything from Sol De Janeiro but I am in love this Bum Bum Cream. It smells delightful. A beautiful scent of pistachio caramel, and definitely moisturizes the skin. Now I can't say whether I felt it tightened my body or gave me radiant skin (which it claims to do), but you have to smell this guy. Delightful. 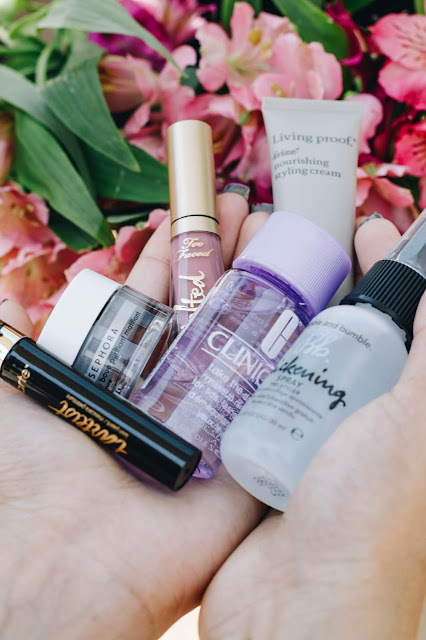 I feel like its so weird that I've hardly used Clinique. Sephora Play has introduced me to a mascara and Chubby Stick, but not much else. I did enjoy this makeup remover. First its always nice to have a travel size bottle. This makeup remover takes off lids, lips, and lashes. I use it to get rid of the excess makeup, but it's still oily and leaves my face feeling oil which I despise. I don't use loose powder at all so I was at a loss as to what to do with this powder. I have been using an ABH concealer as an eye primer and I set my eyes with this powder and it works like a dream creating a perfect base. Probably wouldn't buy it again but I do like it! I am always in need of a frizz tamer so I was excited when this Living Proof product made it into my bag. This cream is great to mix in with other oils for blow drying or for taming messy hair in the morning. A little of this goes a long way. I don't find a lot of products taming my fine hair but this one works like a dream! This is my second time receiving this sample. 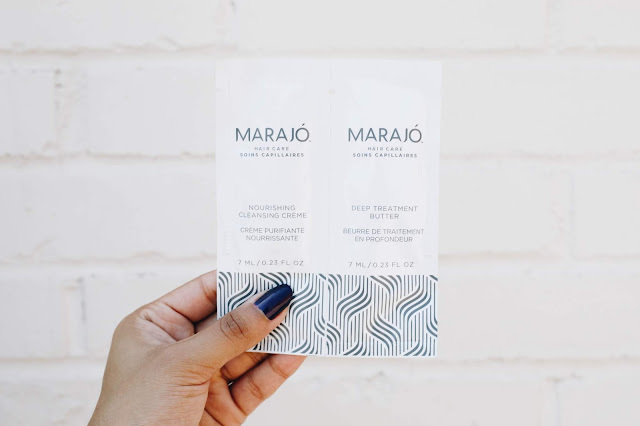 I got this in my March Sephora Play box although I can't say that this treatment made my hair feel any different I did take it to Omaha where my hair stayed relatively tame. I like the deep treatment butter but I don't see any lasting or noticeable differences sadly. I always need shampoo samples so I can't complain. I've surprisingly never gotten into Too Faced because I'm a KVD/MJ/former M.A.C addict but I have a feeling this might change. I found a Too Faced Melted Matte liquid lipstick at TJ Maxx not too long ago from the 2017 holiday collection, and became obsessed with it. The formula is like none I've ever tried before long lasting, comfortable, wearable, you can eat/drink with it. Life changing! How have I never tried it before? Although this color isn't my fave, a little too purple-y for me I still wear it to work occasionally. July's Sephora Play box was rather strange. My Briogeo volumizing spray which I've got like 10 times now exploded on all my products ruining my bag and making everything super oily. However, Sephora's customer service shipped me a new one which was rather nice so I got double of everything. I thought this box was strange because there was 3 Tarte products for me which was strange. Given I have never tried any of those products it wasn't frustrating I just felt like it was odd. Surprisingly I really like this blush and I don't wear blush! It's a beautiful pink that I think is wearable for all shades. I feel like this blush adds a nice dimension to my face. If you're not big on blush you can also use it as an eyeshadow. It's a perfect transition shade. This mask is magic and it claims to do everything. Reduce redness, detoxify, decongest, pay your bills, watch your kids, and destress. It is SO refreshing! It brightens up my skin and feels so great after a long week. I really think I might buy a full size of this mask. 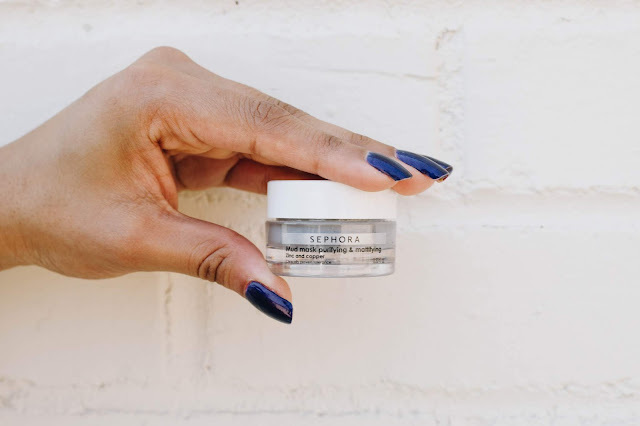 This is a protein moisturizer that helps skin's tone, texture, and firmness. I am a huge fan of the Lala Retro Whipped Cream from DE but I didn't see the same results from this cream. Not to say that I didn't like it, it worked well but I think I might have to try it over a longer period of time. These creams have such a short life for me. I'm kinda over this spray to be honest with you. I keep getting thickening sprays from Sephora Play. I probably should change my account settings. This spray is supposedly a dual action and gives volume and texture. I haven't noticed any great results but I do use this little guy. Don't get me wrong though I don't want to see this sample again anytime soon. 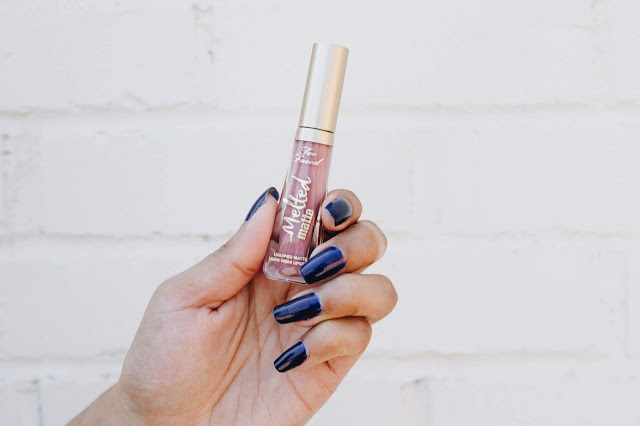 This is a cool mauve lipstick with a cream finish. I didn't love this shade on me because it was a little light but I did like the formula overall. I'm enjoying trying new cream lipsticks. A huge thanks to my friend Mallory who always so kindly takes these photos and gets them back super quick you are such a blessing. 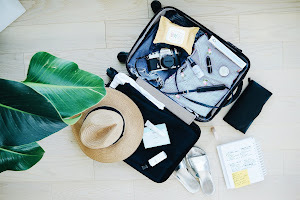 I kind of like the idea of a recap of the products you actually used and enjoyed throughout the year, maybe a 6 month recap post that showcases the items you loved? (And maybe a few that you kind of hated just for fun :) ) I always get beauty inspiration from your posts Sonia, it makes me want to venture out of Target every once in a while. Ha! 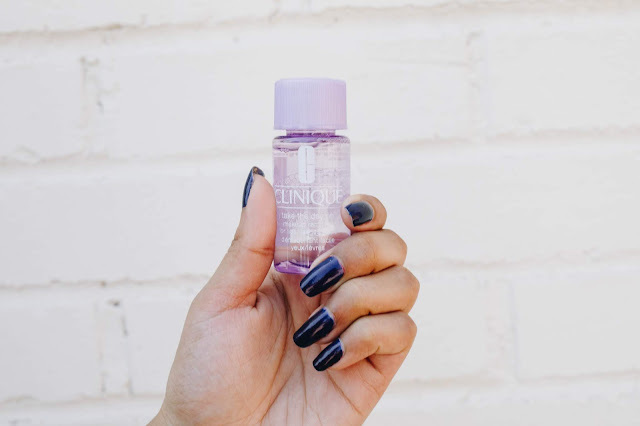 I like that Clinique makeup remover, it works so well, although yes I always do my proper cleanse after as it does feel a bit oily! I love Kat Von D's tattoo liner, it literally does NOT budge. I've also heard a lot about the bum bum cream and while it's great it smelt gorgeous, it's a shame you didn't notice much difference! I love that mud mask! I have it and use it all the time! I can't say I've ever tried a bum cream...but, I do love pistachio! Might have to give this a try! The purifying mask sounds fabulous too! Sounds like a great catch at sephora. 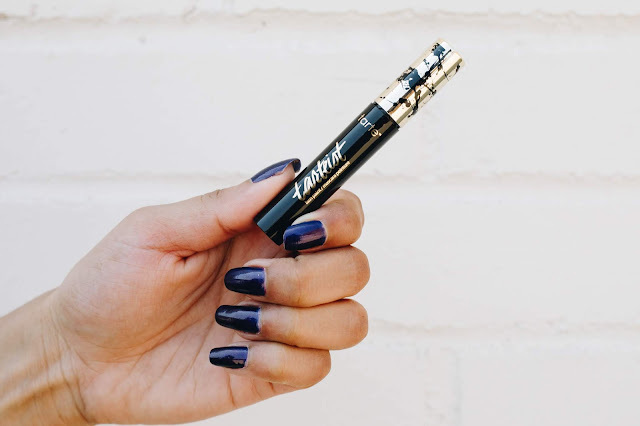 Bummer that your tarte mascara was dried out!! :( I SWEAR by that mascara - it's amazing! You got lots of other goodies though - love the brazilian bum bum cream!